Comicbook. 16 pages. A6 size. B/W interior. 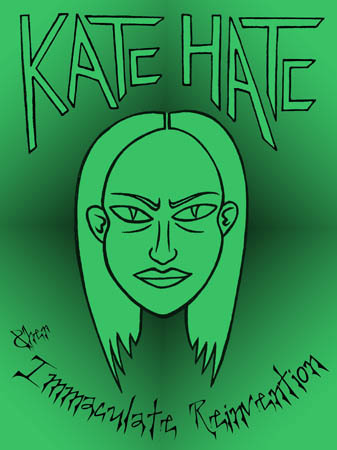 "Kate Hate" is an underground comic Zine using cartoons and satire to inform the reader on how Australia is a cultural backwater and does not provide support for genuine artists. Recommended reading for people who idealistically believe that talent will magically be noticed and rewarded in a land of mediocrity!